The role of Ph.D. committees is to provide frequent feedback and advice to the Ph.D. candidate. The committee shares the responsibility of guiding the student's research to successful completion. Students should not view the committee as obstacles, but rather as additional mentors and possible promoters of their thesis research. When applying for jobs, committee members are often the first choice for seeking recommendation letters. It is expected that the Ph.D. advisor work closely with the student in determining the most appropriate committee members. In the semester that the qualifying exam is passed, the student is expected to form a Ph.D. committee. Committee members may easily be added or removed during the time from the qualifying exam to the final exam (thesis defense). There must be at least four voting members (normally, all are designated as such). At least three and no less than half of the voting members must be members of the Illinois Graduate Faculty. At least two of the voting members must be tenured faculty from the University of Illinois. At least three members must be members of the extended faculty in the Department of Computer Science at Illinois (extended faculty of the DCS includes the regular faculty, as well as people with non-visiting (assistant/associate) professor appointments in DCS that carry one or more of the following modifiers - adjunct, affiliate, research or emeritus), two of whom must be full-time Computer Science department members (non-affiliate) at Illinois. At least one member must be from outside of the University of Illinois Urbana-Champaign (outside member is required only for students who have passed the qualifying exam in spring 2006 or later, however, it is highly recommended for all students). 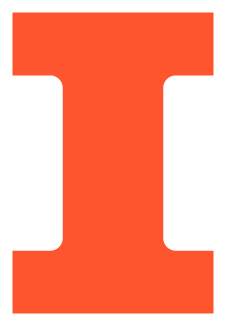 The outside member cannot have been a student of the current thesis advisor or any other University of Illinois committee member nor have been a University of Illinois student within the last five years. The outside committee member must have independent publications that occurred after earning their Ph.D. In addition, if the outside member is a Post-doc, he/she can serve as a non-voting member only. If there are more than 4 members on a committee, the majority vote needs to favor the CS Department faculty. If you are unsure, please contact Maggie Metzger Chappell at mmetz2@illinois.edu. Note: The outside member must have a Ph.D. and does not need to be a university faculty member. For example, this member could belong to an industrial or government research lab. If necessary, teleconferencing technology may be used for the prelim exam. For approval of the outside member, the Department of Computer Science and the Graduate College require their CV and a brief statement of why they were chosen. The five requirements above are also imposed on the Ph.D. committee for the Final Exam (although the committees may be different). It is good for students to involve additional researchers in their efforts as early as possible. Remember, students are not locked into particular committee choices until their Preliminary Exam. In some sense, the Ph.D. committee is just a formal mechanism to stimulate interaction between faculty and students. It is generally recommended that a student have at least one committee member who is not a specialist in the general area of research pursued in the thesis. The ability to explain and justify research to outsiders is crucial to the success of a researcher. It is fairly common to have more committee members than the minimum of four. This helps to further enhance the quality and visibility of the work. Furthermore, it may be easier to satisfy the five requirements on Ph.D. committees by having more members.